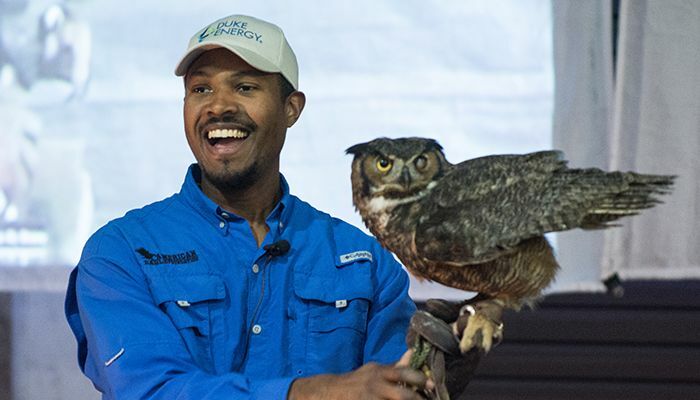 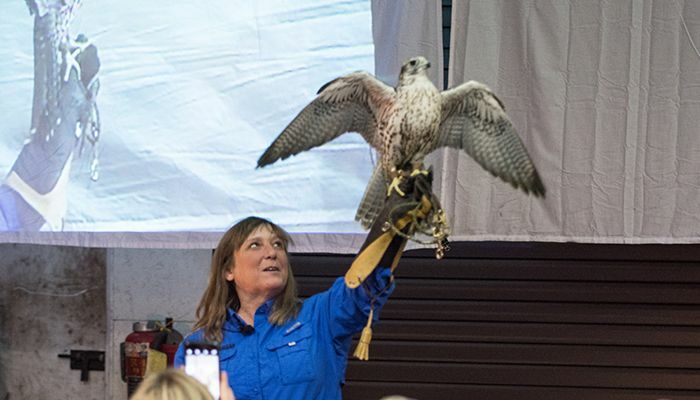 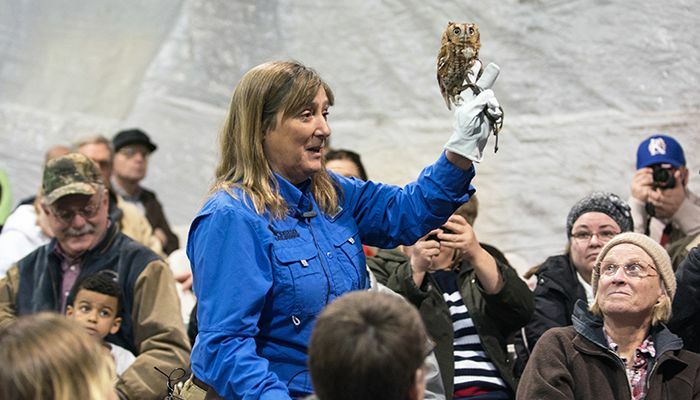 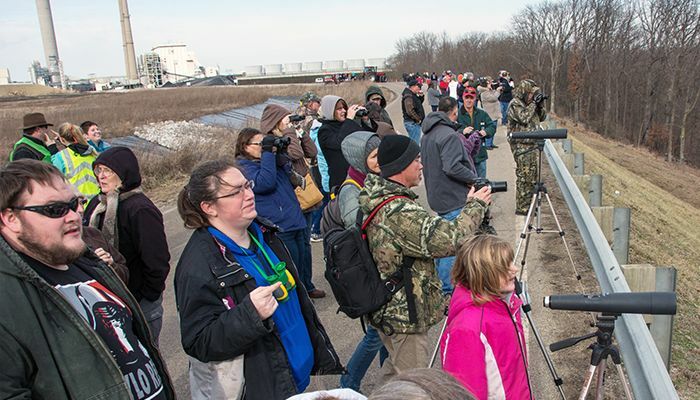 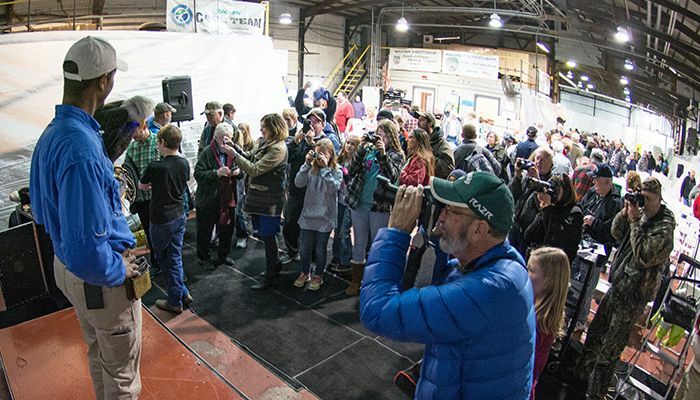 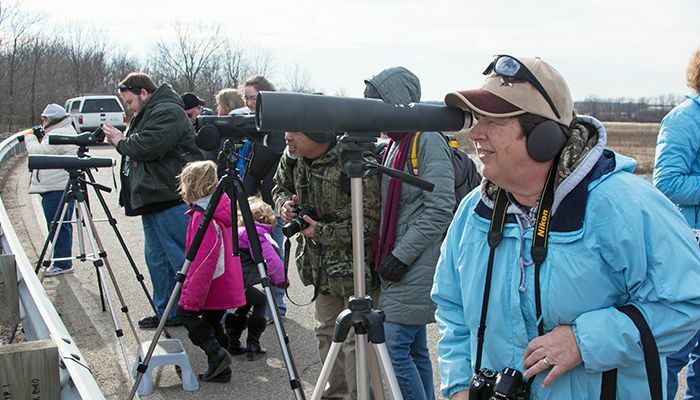 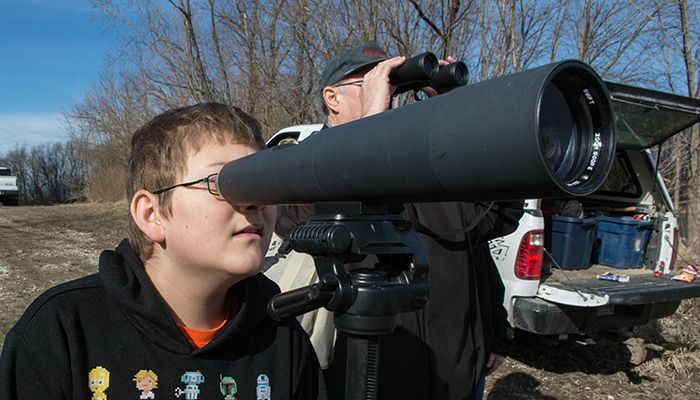 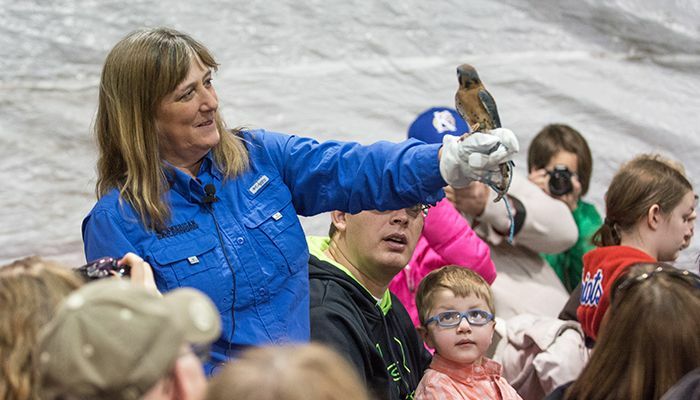 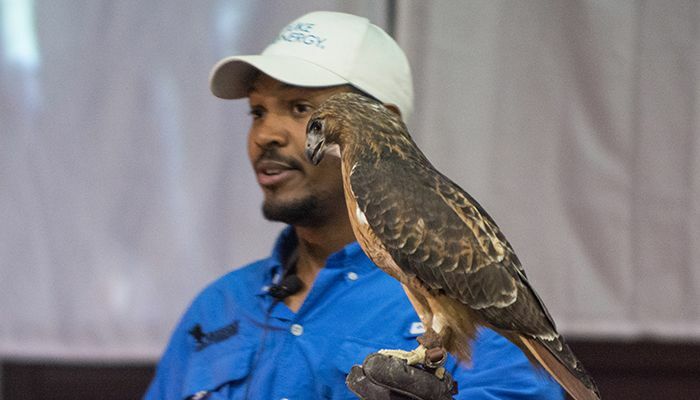 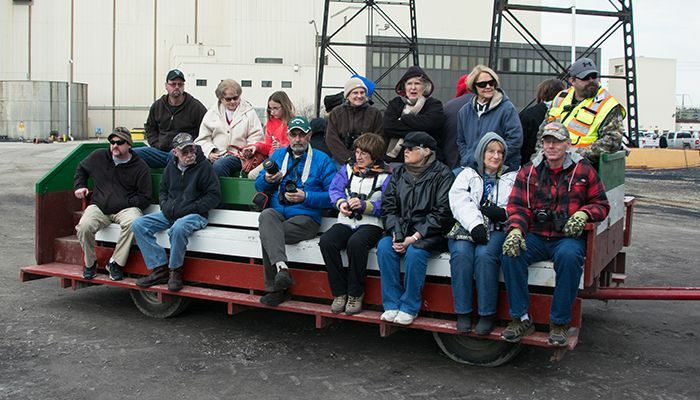 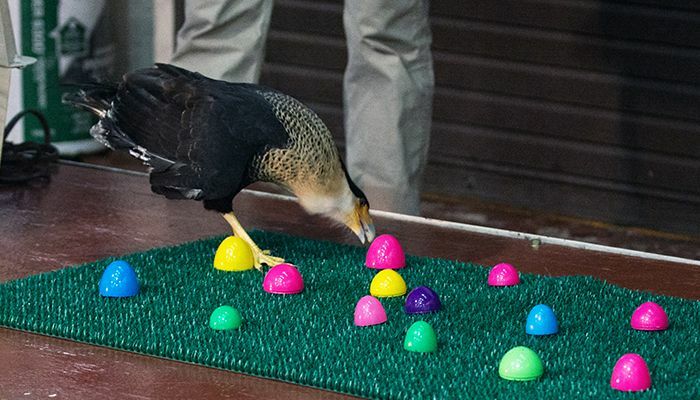 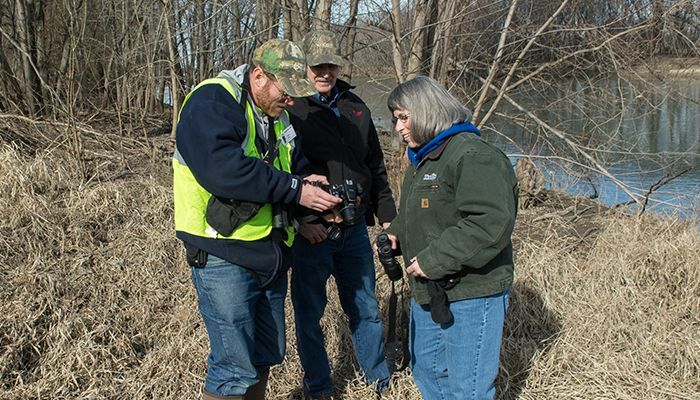 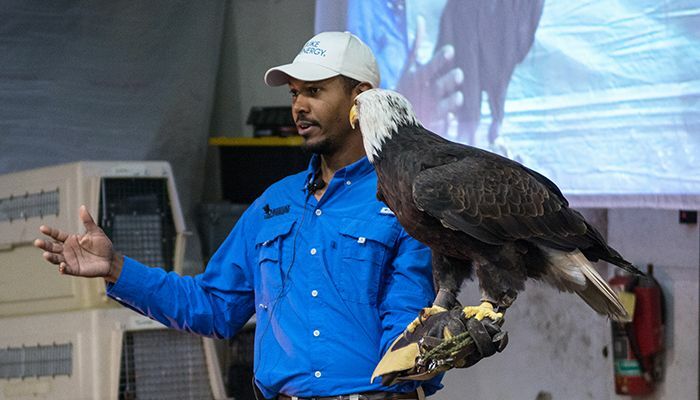 Hundreds of people attended the annual Eagle Viewing Day recently at Duke Energy Indiana’s Cayuga Generating Station in Vermillion County, Ind. 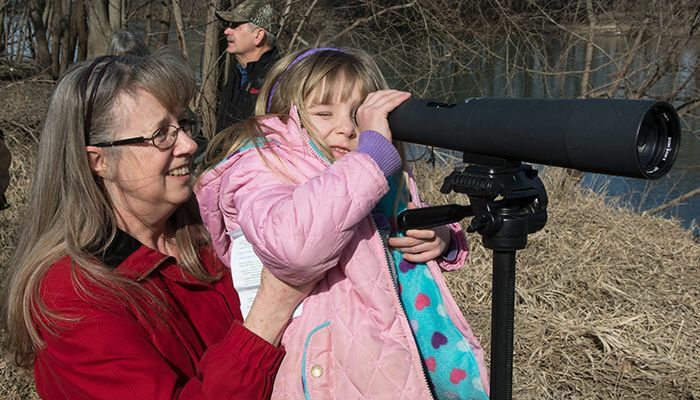 Binoculars in hand, children and adults looked for bald eagles flying, nesting and fishing along the Wabash River. 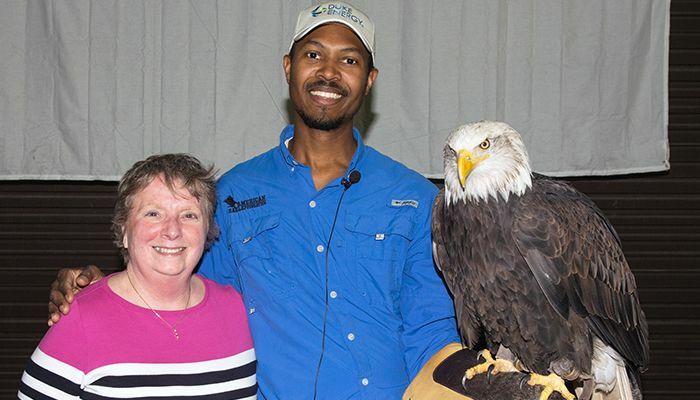 warm water discharged from the Cayuga power plant keeps the river near the plant free of ice, which attracts fish that the eagles hunt and eat. 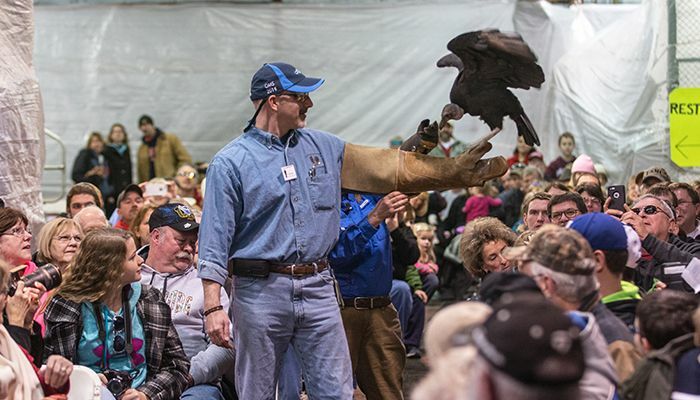 More than 25,000 people have attended the event since 1996. 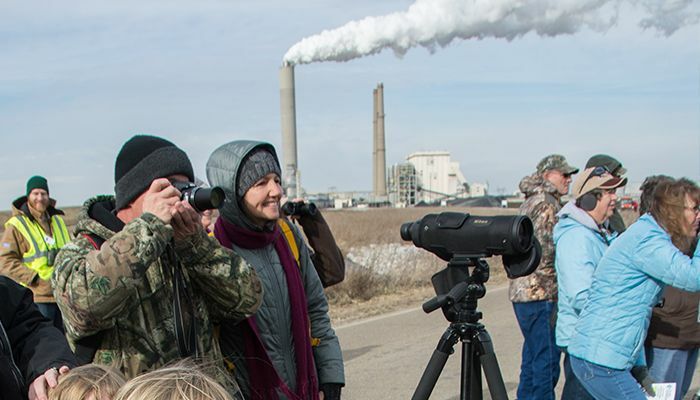 Participants toured the coal-fired plant and watched the American Eagle Foundation's Birds of Prey program featuring live birds. 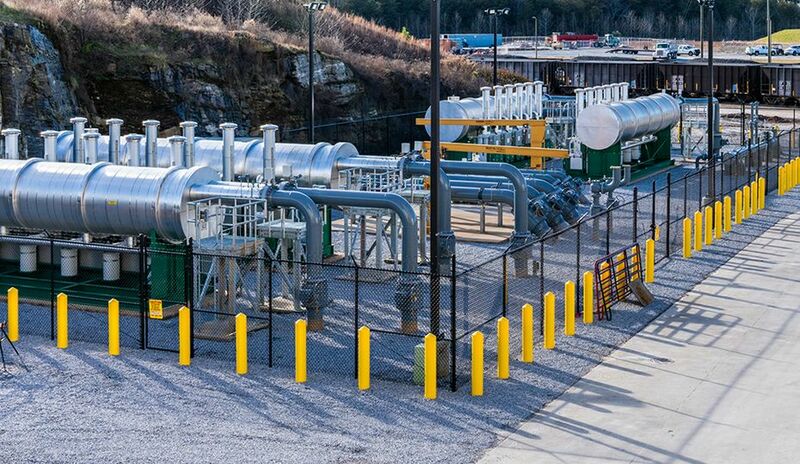 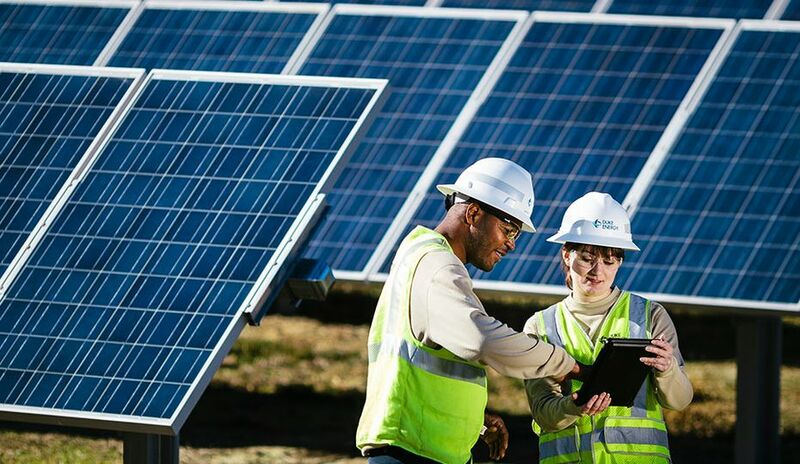 Duke Energy Indiana is the state’s largest electric supplier, providing about 7,500 megawatts of electric capacity to about 810,000 customers.